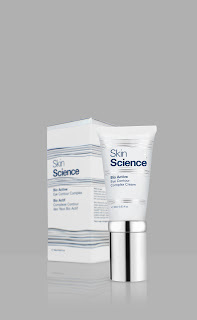 Skin Science is a new skincare range from Norway, with ingredients inspired by the marine life found around the country's Arctic coast. For reasons entirely unsubstantiated, I always think of Scandinavian women as having beautiful skin so this launch immediately caught my attention. Omegatri, which sounds suspiciously like the contrived bacteria names in advertising for healthy yoghurts, is high in Omega-3 oils and is sourced from Atlantic salmon whose oils are similar to those found naturally in the human body. Zonase X. Despite working in freezing temperatures, salmon hatchery workers have unusually smooth hands, the result of this gently exfoliating ingredient which is produced by salmon embryos. Lastly, not to mention rather disconcertingly, Spermine. After 25 years of research, scientists have synthesized a lab version which has been shown to be an effective skin protectant. I can't bring myself to comment further. 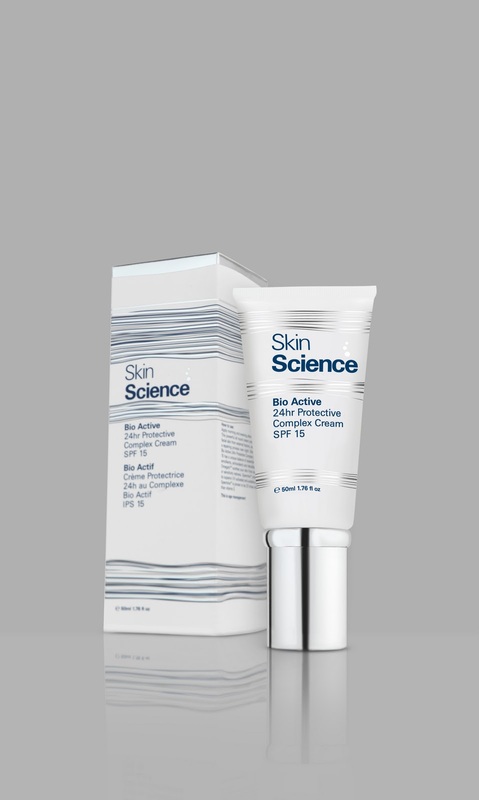 The range comprises six core products, from which I was sent Skin Science Bio Active 24hr Protective Complex Cream SPF15 and Skin Science Bio Active Eye Contour Complex Cream to try. My first impression was that the boxes are excessively large which I found quite off-putting. Having said this, the packaging of the products inside is fab & well considered- tubes with pump dispensers which will be ideal for travel. The ingredients list isn't for those of a delicate constitution but the products themselves give no hint to this. I'm not particularly squeamish about trying new products on my face and my thinking is that if a diet rich in oily fish is good for you, then topical application can't hurt surely? Besides, there's no fishy scent and the texture is luxurious. In particular, I liked the texture of the Eye Contour Complex Cream- it's silky & lightweight, absorbs easily into skin and doesn't cause any puffiness. It's pricey at £75 for just 15ml and I wouldn't say that it's knocked my favourite Creme de la Mer Eye Concentrate off the top spot although it is over £50 cheaper. 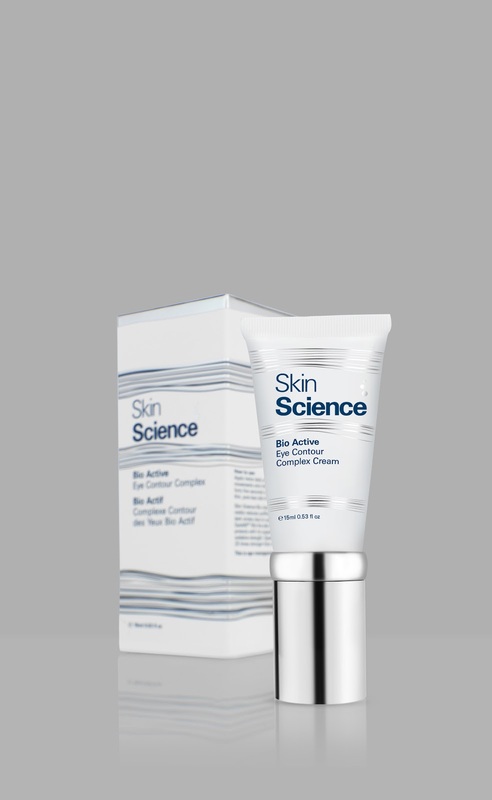 Skin Science Bio Active 24hr Protective Complex Cream is £85 for 50ml. The tube is going to last for a fair amount of time as a little goes a long way- you only need one-two pumps to generously cover the entire face and neck. I like that it contains SPF 15 yet still feels like a luxury cream, without heaviness. 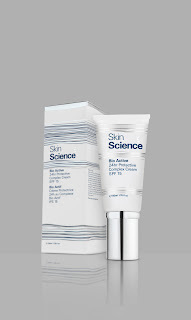 I personally prefer a separate SPF day cream and an intensive night treatment cream so I only used this during the day but was pleased with the results nonetheless. I really like what I've seen so far of this range- I think it suits my skincare needs well, helping to protect against the first signs of ageing without overwhelming skin with ingredients it doesn't yet need and would happily recommend it.